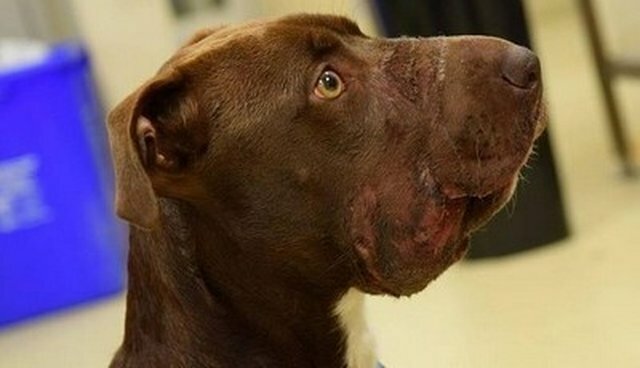 Who could do such a horrible thing to such a gentle dog? 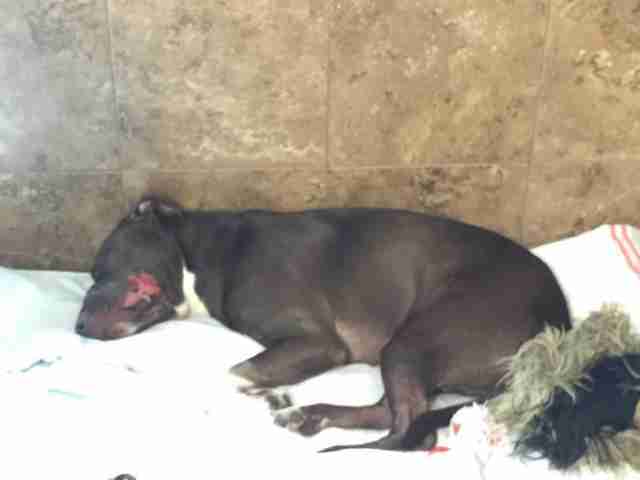 This is the question everyone was asking after a 15-month-old Staffordshire terrier was found with black electrical tape around her snout, her tongue forced to hang out between her teeth. Justice has been found for this poor dog, however, as police have arrested a man in connection with this awful crime. 41-year-old William Leonard Dodson was arrested on Monday in North Charleston, where Caitlyn was found, The South Carolina Post and Courier reported. According to police, Dodson is being charged with ill treatment of animals for what he did to poor Caitlyn. According to the Charleston Animal Society, where Caitlyn is currently being cared for, she may still have more surgeries ahead of her to further repair her lips, and possibly her tongue as well. 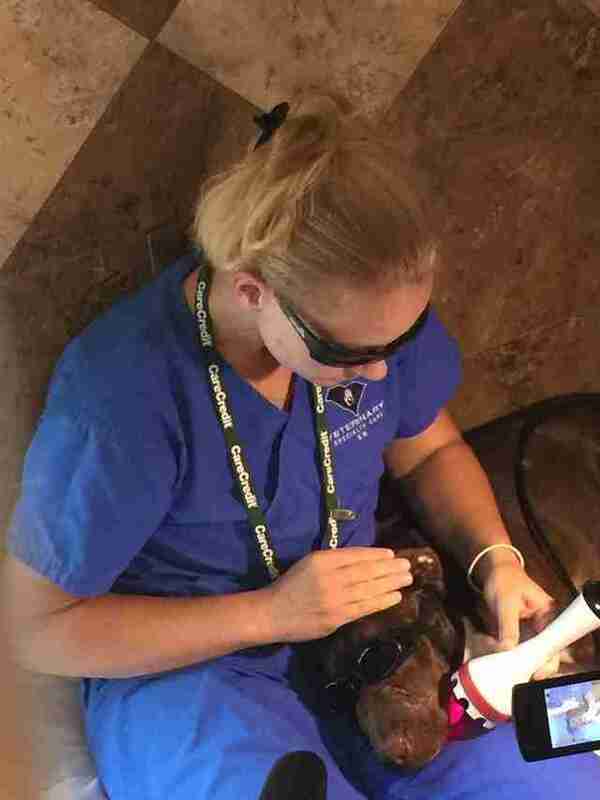 The pup had minor surgery on her lip already, and has been receiving hyperbaric treatments, an oxygen treatment used to treat wounds, to heal the damage in her mouth. The goal is to try and save as much of her tongue as possible to improve her quality of life. At first, Caitlyn could not eat on her own, but she is already back to eating normal food like a champ. Veterinary Specialty Care of SC posted on its Facebook page that Caitlyn received a visit from Father Vincent Maroun of St. Benedict Catholic Church to bless her as she continues on her road to recovery. Everyone seems very hopeful that this resilient pup will make a full recovery. Hopefully she can rest easy now that her abuser will have to answer for his crimes.